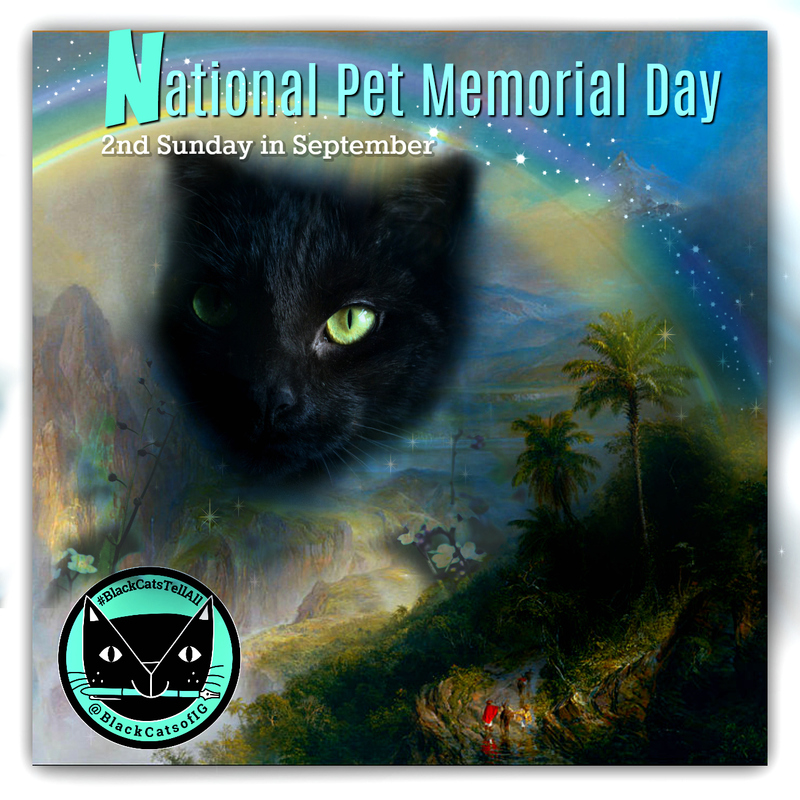 The second Sunday of September is National Pet Memorial Day and this year is especially poignant. For over 40 years, longer than most of us have been cat lovers, the International Association of Pet Cemeteries has designated a day to honor pets past and present. Usually, I take time to honor all the many pets in my life but this year, at least at this blog I’m focusing on Merlin who passed in May 2016. I’m nervous and worried. Not only have there been way too many losses in my world, but thousands of cat lives will be lost from all the recent disasters from earthquakes, floods, fires and hurricanes. As I write this, Hurricane Irma is poised to unleash her fury on Key West and the 54 cats at Hemingway House. They’ve weathered other storms but we’re crossing all paws and praying for a positive outcome. There are dozens of shelters and sanctuaries dotted across Florida and many like Brigid’s Crossing in Naples that visited a few years ago, have hundreds of cats used to roaming freely without a solid commercial building. All I can say is please purr, pray or petition the cat gods for their safe survival. Share this graphic if you like. Merlin’s memorial garden burial mound grew tropical lush this summer. Yesterday I weeded and cut back the overgrown vines. Enough time has passed for the raw ache to pass and warm memories soothe the jagged edges of pain. It took me a year before I could look at his funeral photos and see his scrawny old body without wincing. He’d been ill for so long in a gradual decline of kidney disease, I didn’t realize the toll it took on my own health. Now I can see him at peace and wonder how the hell did he manage to live almost 22 years. During the life altering grieving process that nearly killed me, I learned how to live. I’m still learning. Every grieving journey is as unique as a fingerprint and this one surprised me more than any of the others. At first, it was deceptively easy, gentle as an angel’s kiss and I honored the process. Little did I know, the journey would unravel layers of unprocessed emotions to my core. Just when I thought, well that’s done, another layer of the onion revealed something new, deeper, darker and scary. It didn’t feel like grieving only because I didn’t have a language to define or categorize it. I questioned everything in an attempt to understand the stages, phases intellectually. Meanwhile, the answers eluded me but my body was spilling secrets and screaming at me to listen. I listened and said, nevermind, not now, I can’t go there. Denial is not a river in Eygpt but lives in my emotional neighborhood. One with a big sign: DO NOT ENTER. Cats enter and exit our lives for any number of reasons but if we’re lucky, they bestow wisdom, insight and just about everything we need except maybe the winning lottery numbers. Being curious as a cat, I trespassed in the familiar but unfamiliar territory. And being as stubborn as Merlin was it took much head bashing and teeth gnashing to learn the lessons he so patiently dished out while alive and from the great beyond. Even the lessons I thought I’d aced, came up for review. I’m still going the process which is why I’m not blogging much. but I am writing. Grieving is a remarkable opportunity for personal growth if you’re willing to dig in and peel that stinky onion. Haiku from a Zen master is fitting. Death is no different than a train ticket. The train might be late but most run on a timely schedule of arrivals and departures. Once the train has departed, there is no going back. You might be able to catch a connecting train but that’s a story for another day. 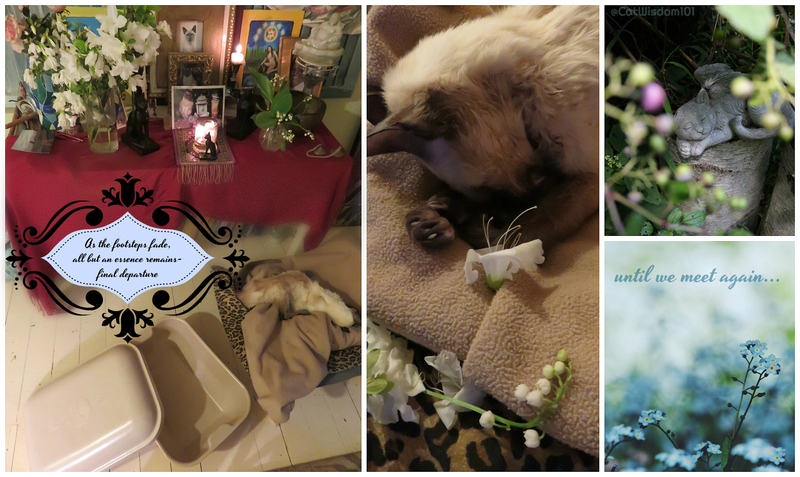 Today is about pausing to honor the cats we love or have loved. The casket shown above is a biodegradable one from Paw Pods and perfect eco-friendly choice. Our organic garden is an everyday reminder of impermanence. The seasons change, the birch logs are rotting, the leaves are drying and the ink is fading Merlin’s name but not his memory. And of course Merlin has to have the last word. And I don’t need that old body, things had stopped working right. Though I have it on good authority that we’ll meet again some day. It’s not like other dairy products and doesn’t give me the runs. That however much I wolf down, I never have to pee. My legs are made for leaping way higher than before. And up here, all I can say – I’m a real mancat, how do you do. I’ll regularly look in on you, and keep a watchful eye. Hi Peggy,I am glad to have found your site today. I had an experience on my last day of work in oct of 2001 of a dead owl in front of my work place door. I had been working as a contract archaeologist and it had become a situation that I needed to leave the organization that I had been working for. Owl dreams had occurred in the year leading up to finding this beautiful bird. I literally had to step over it to get inside and I buied it on a Little wooded hill. So fast forward in a nutshell I left archaeology and was happy in the new job for many years, I had to leave due to a family situation but maintained ties there. I have been working for almost a year at a new job where I am not valued and its not good for me and it is infested eith cockroaches abd i am allergic to them. One day last week I went into work and a dead beautiful little light green finch? Sparrow? Was lying outside the door of the workplace where I am unhappy. The next day I received a job offer to come back to the job where I had been happy and people valued me. My question is what is the specific differences of an owl message versus a small song bird and I have never seen a light green one before. Wondering what the significance can be? Thank you! I just had an attack of “leaky eyes” thinking about my dear heart, Mr. Yoda. He passed on 17 years ago but I still miss him tremendously. He was the special being that taught me the meaning of “unconditional love.” Take care, dear heart, until we meet again. Jude, our beloved cats stay in our hear forever so it’s not surprising to feel emotion on some occasions. 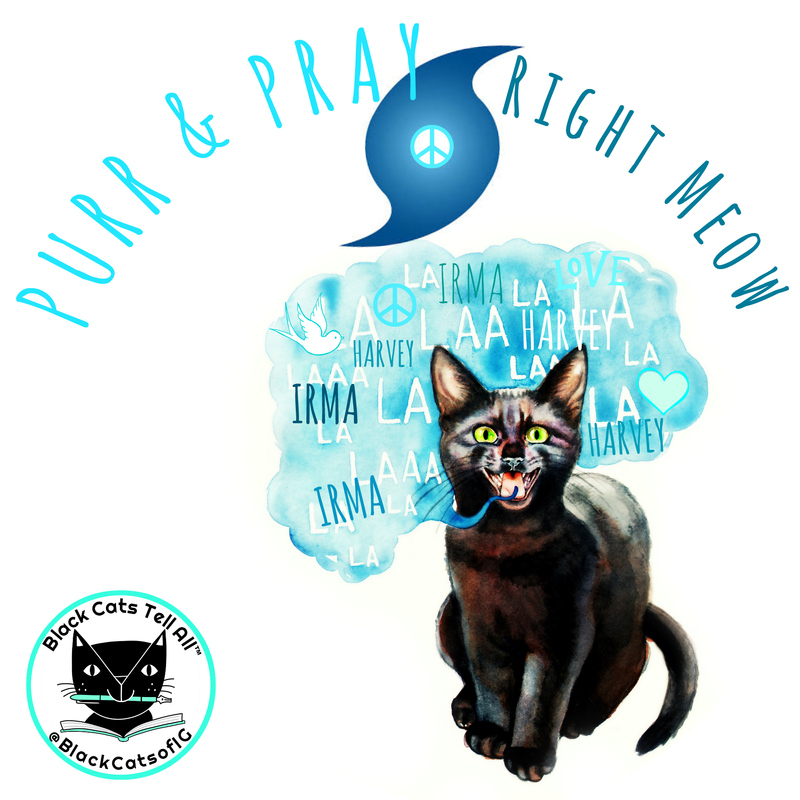 We have been purring and praying so much lately .We always ask for protection for our animal friends daily but it seems like there is so much bad, threatening stuff that keeps on coming at the world. We ask that God has his way with us and directs us to the path we need to take and all of this may just be the answering of the prayer asking for that direction. We talk to and remember all of the babies that have gone on before us and so look foward to the day when we meet again! We hope that all are safe no matter what disaster or situation they are facing. We purrs and prays for you too Layla. Sending you many virtual hugs a this time. What a wonderful message from Merlin…..I still have high hopes that Angel Sammy has met Angel Merlin in purrson by now and that maybe Sammy is learning new things from “the master”. Every day is a journey – we all travel on our own paths but we will wind up in the same place one day I believe and our sweet Angels will be there waiting………..
What a special and incredibly moving message from Merlin. It, and your post today, brought tears to my eyes, Layla. I am so relieved to hear the Hemingway cats and caretakers are safe. The Hemingway cats have great caretakers… in one of our few trips we went to key west and of course Hemingway’s house. Glad to hear they are fine! I miss Merlin and loved his poem. To me he is just on a different plane. He reminds me so much of my Tan’na ….. This is the best blog post you’ve ever written, Layla. I’m crying in my own sad/glad memories and my own lost and beloved furbabies. We all loved Merlin, and through you he taught us all. RIP and play like a wild man, Merlin dear. It’s a sad day here… my human just found out a friend of hers passed away a few hours ago. She finally succumbed to the cancer that she had been fighting for several years. That, plus Irma hitting so many of our friends, is putting a pall on things. Thank you so much for the reminder about National Pet Memorial Day. It sure is poignant this year. So many lives lost, human and animal alike. 🙁 I hope for the best for all the families and their wonderful pets, and for all the feral cats out on the street. I just hope as many of them as possible will be safe. Merlin sounds like he brought just as much happiness and love to your life as you of course must have brought to his. What precious things, cats are to we humans! Thanks Elise. Merlin has a huge legacy and archive of wisdom of his Mondays With Merlin blog posts dating back to 2011. I too worry about the many homeless and feral cats left to fend for themselves. 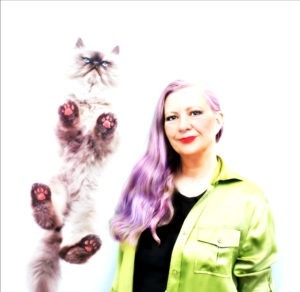 I read just now in the Miami Herald that Mariel is trying to save the 54 cats. Papa had foresight, and Mariel is an excellent person. Both Papa Hemingway and Mariel’s older sister had a complicated inherited fatal illness, hereditary hemochromatosis–also known as HH, — an iron overload, which caused their deaths. Oh, the message from Merlin just made me cry, so beautiful. Merlin was one of a kind. Re: Hemingway cats. The house is on the highest elevation and I think the worst is over. Very sweet message from Merlin. I am very upset that no one gathered Hemingway’s cats to protect them. Ellen, please know the Hemingway cats were all gathered indoors and well provided for. A beautiful message from Merlin. The two lumps, furry and rounded made me smile. Flynn had one totally ginger one and the other totally white and they looked so cute when he was small. I was almost sorry to see them go when he was neutered! My thoughts are with all those in the path of the hurricane. The family jewels can look very cute but always better gone xox Thinking of Eric and Flynn today. Merlin was…and always will be…a special cat. We are purring mega purrs for all those affected by Hurricane Irma…especially all the animals. We are worried about them too.